Training your biceps can be a very fun and rewarding exercise, unless you’re eating a crunchy bar like the Nutty Professor while you’re at it. Most people start off using dumbbells and move on to other exercises. 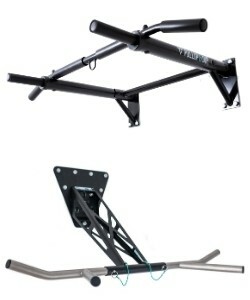 Several of these can be done using the pull-up bar which is precisely what we’ll be covering in this article. Not only do pull-ups help you work the back muscles but the biceps are also trained. Depending on the chosen exercise, you will be able to focus more on training the biceps. We will be looking at the various exercises that can be done on the pull-up bar, including a description of how to perform them. Pull-ups are also known as chin-ups. They can be executed in different variations (overhand grip, underhand grip, neutral grip, wide-grip, close-grip, …) and belong, next to push-ups and a couple other exercises, to the supreme disciplines of bodyweight training. Many people who work out think that the number of repetitions are an indicator for masculinity. Of course, this is nonsense, but someone who can do many pullups can be certain to be admired by other sportspeople. Pull-ups are suitable as a back exercise for a wide upper body. 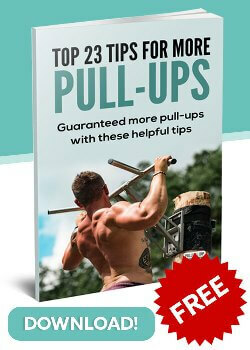 Apart from this, pull-ups also engage the muscles of the arms to an extent that should not be underestimated. This means the biceps and the brachioradialis muscle also profit from pull-ups.